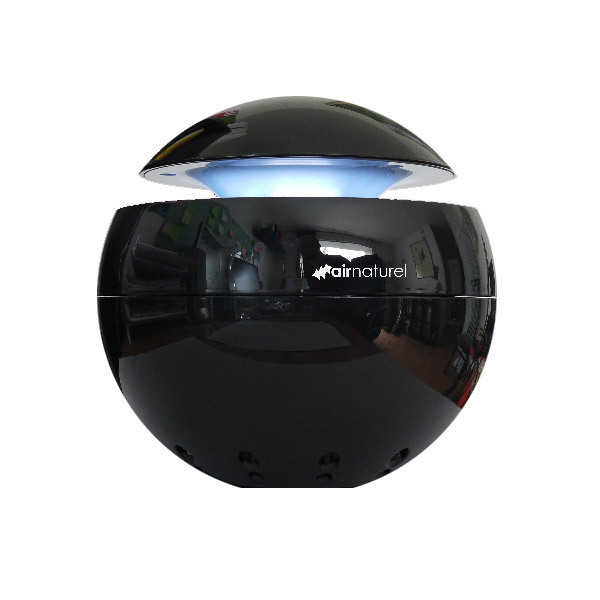 Buldair air purifier eliminates odours, bacteria and small dust particles and pollen types. Equipped with a HEPA carbon filter. Suitable for areas up to 15m ². Power supply via mains or USB port. Diffusion of blended essential oils. Specialize in the treatment of indoor air intérieur, Air Naturel invites you to discover its range of air purifiers designed to clean the air you breathe and eliminate environmental pollution and odors. Compact with a laquered black finish, Buldair is very practical with a stylish finish. It can easily be well placed in a room up 15m² in size. Buldair is equiped with a HEPA partical filter and an ionizer , to eliminate dust, pollen, allergens or ordors thanks to its integrated activate carbon. It is used in hospitals, pharmaceutical companies and even in some electronic manufacturers. The HEPA filter is the most efficient way of filtering out impurities, pollen, dust, bacteria and other particles which are greater than 0.3microns (µm) from the air. Due to an electrostatic effect, the ionizer can charge the particles that are in the atmosphere with negative ions , which precipitate directly on the ground and facilitate their disposal. Ionizers are particularly effective in eradicating nano allergenic particles, which is considered the most dangerous to our health. Buldair can be connected via USB or directly to the mains. Ideally, place it on the floor or high on a shelf. It is equipped with a built-in receptacle to diffuse essential oils. For optimal use of your Buldair air purifier, try changing the filtre HEPA at least every 6 months. The length of time that the device will remain in good condition is depenent on the use of the device and the concentration of pollutants in the air. The data below are presented as a guide to help you choose the air purifier that meets your needs.
. Turn the unit off and unplug the USB.
. If necessary, use a slightly damp soft cloth.
. Do not use solvents or chemicals.
. Store in a cool dry place when not in use.
. Replace the HEPA filter at least every 6 months. The life of the filter depends on the use of the device and the concentration of pollutants in the air. People buy Air Naturel products because they are of a high quality yet affordable, with advance technical qualities and a stylish design. Air Naturel is commited to offering the most up-to-date and advance products.